OSO Shirt Platform Now Online! 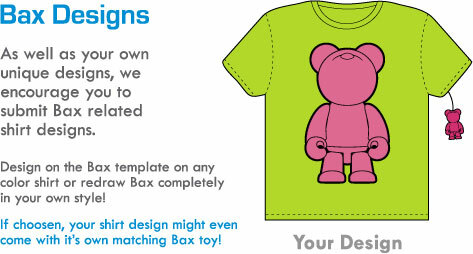 We’ve just uploaded our new shirt template on the Baxbear.com site. What does this mean? That’s right! 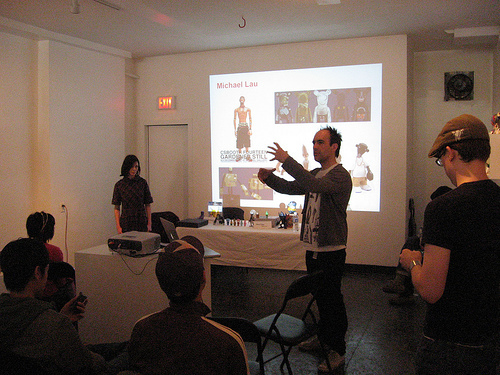 We’re looking for artists to submit shirt designs! Unique and original is what we’re looking for. Chosen designs will be printed as part of our “Artist Series” on high quality 50/50 shirts and may include a matching pvp plastic key chain accessory (your design!) included with the shirt. We’ll be distributing these shirts in shops world wide, so it’s the perfect opportunity for exposure for your work. Artists will be paid for their work and receive 20 pieces of their shirt for sale on your site or to give away to friends! Visit our download page to grab the PDF or AI Template. We’re also looking for Bax related shirt designs. 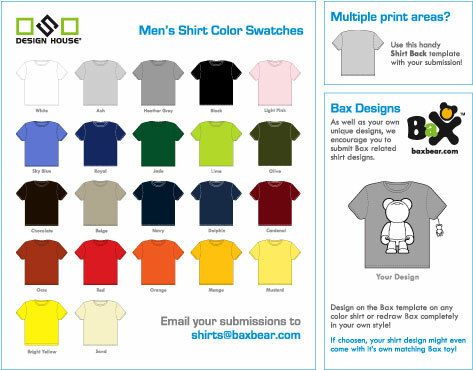 Using the shirt template with the Bax shape on the front, design some wacky and wearable bears! 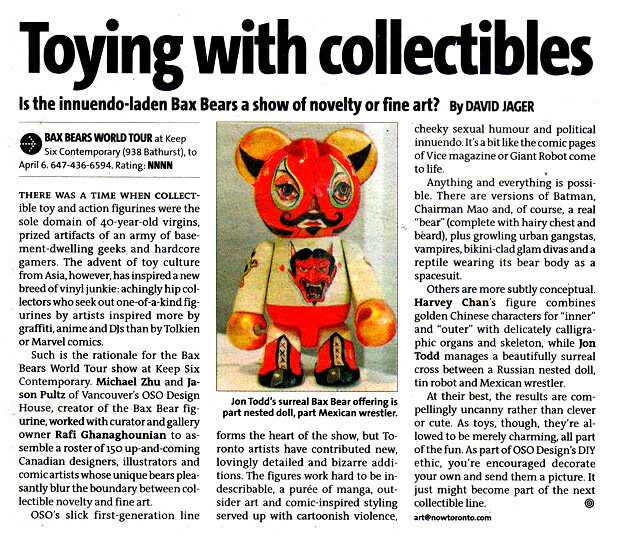 If possible, these will also come with an actual manufactured Bax figure of the same design! Toy + Shirt combo. This template is available in the same T-Shirt template file. You can find the Bax platform templates in the download section as well. So start sending in some designs! Good luck everyone! 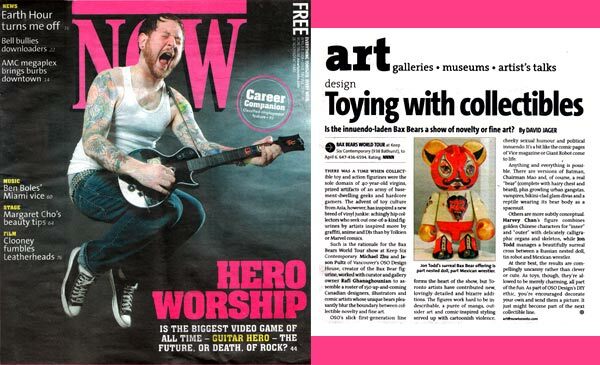 The Toronto Bax DIY show was featured in Now Magazine (April 3-9, 2008) Click the image to read the full article or read it online here. Thanks Guys! 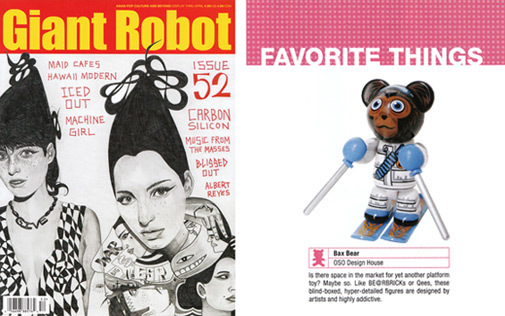 Bax Bear was featured in the Favorite Things section of this month’s issue of Giant Robot. 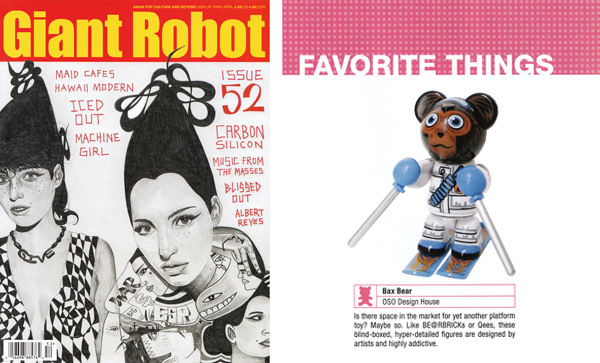 Giant Robot is now carrying Bax Bears in all of their retails shops as well as the Giant Robot Online store. Thanks Eric! 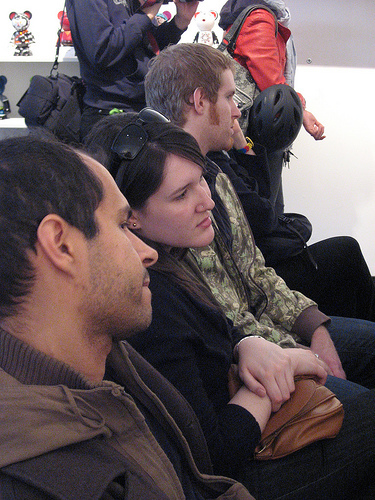 On Sunday April 6th, 2008, the final day of the Bax DIY Gallery show, we had an event named the Talking Series. 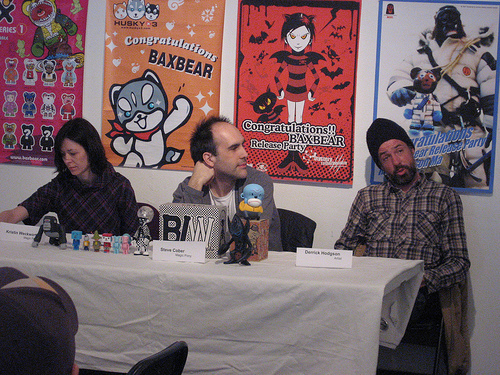 We invited artists, publishers and retail shop owners to come in and talk a bit about the designer toy scene. 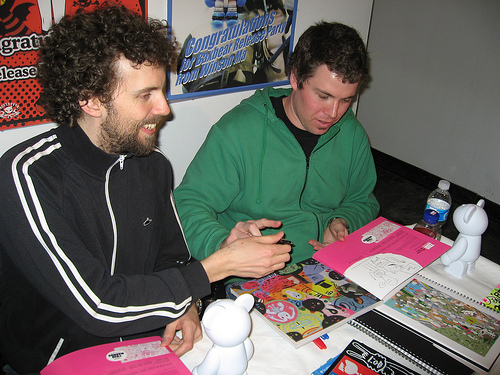 Artists : Steve Wilson, Aaron Leighton, Clayton Hanmer, Derrick Hodgson. 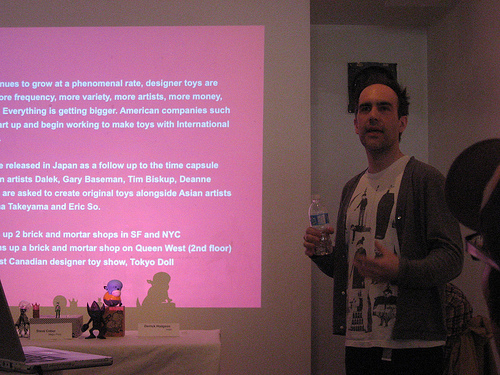 Big thanks to Kristin and Steve for giving such an in depth designer toy presentation, Derrick for sharing his experinces, Anne, Steve and Clayton for talking about their new book and to Brian for sending us a copy of Toys are Us. Thanks guys!! 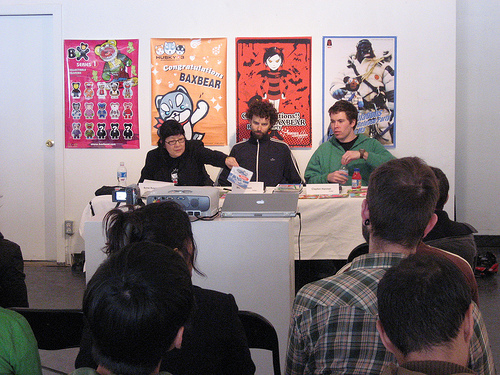 Go here for all the photos of the event – stay tuned for video! 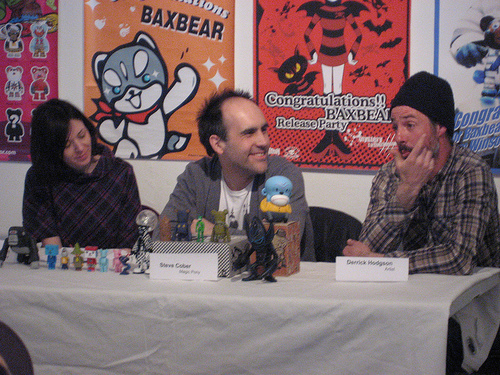 the Bax Bear Release Party. Bloggman on The Results are in! 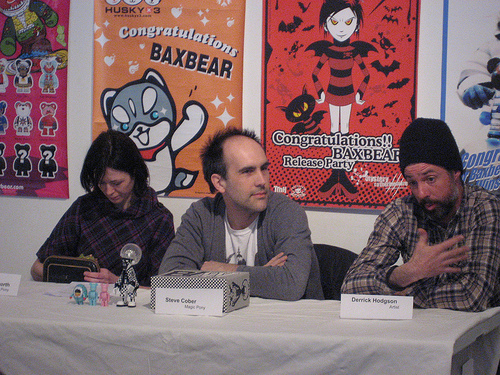 Claudio on First Series of BaxBear T-shirts are in!! JamesD on April Newsletter —-> Online Store Launched and FREE GIVEAWAYS!! JJ_How on April Newsletter —-> Online Store Launched and FREE GIVEAWAYS!! is a new 2.5 inch collectible ABS mini key chain figure designed and produced by Vancouver, Canada based OSO Design House.